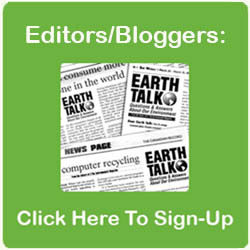 Dear EarthTalk: I recently read about the toxic dangers of particle board. I still am using the same laminate on particle board bedroom furniture that I bought new 30 years ago. Do you think it’s still harmful to my health after all this time, and is there any way to make it less unhealthy? Formaldehyde isn’t something to mess with. According to the U.S. Centers for Disease Control & Prevention (CDC), it can make you sick, with symptoms including sore throat, cough, scratchy eyes and nosebleeds. And it’s been linked to an increased risk of allergies and asthma in children. Furthermore, the American Cancer Society reports that exposure to formaldehyde—classified by the federal government as a “known human carcinogen” since 2011—has caused cancer in laboratory test animals, and that humans exposed to relatively high amounts of formaldehyde in medical and occupational settings are at greater risk for cancers of the nose and throat, among others.